Do you want to buy a haunted house? You might be able to, if you’re sure that’s what you want. Weirdly, early in 2013, a haunted house in France was listed at eBay and – apparently – sold for one Euro. 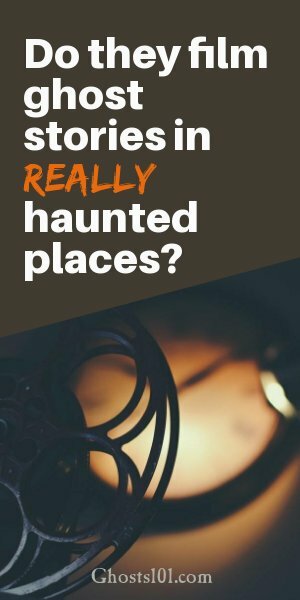 By late 2018, some of the most-publicized haunted houses required deep pockets… but those were the widely publicized ones. I’d expect plenty of haunted houses to sell for ridiculously low prices, even today. Either way, you may want to set up a Google Alert for “haunted house for sale” or something like that. In many states in America, anyone selling a haunted house must report that the site has a ghost. In general, start by checking the laws of the state where you’d like to live. 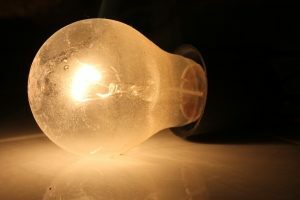 In many states, a ghost (or reputation for being haunted) is a “material fact” or “material defect” that must – by law – be disclosed to the buyer. If it’s among the states requiring disclosure, visit a few realtors and explain your interests to them. Explain very clearly that you’d like to buy a haunted house. Don’t hint. Tell them directly, and be prepared to explain why. However, remember the practical side of this. Most people don’t want to live in a haunted house. So, some sellers conceal paranormal activity if they can. If that’s likely, phrase your questions carefully. – Act as if you don’t believe in ghosts. Make a big deal over the great location, the swimming pool, or the quality of local schools. – Casually ask if the house has any “charming legends” or “colorful tales” connected with it. – Use the word “ghost” carefully. No homeowner wants to be forced to admit his house has the “defect” of a ghost. You may need to conduct your own research to find likely haunted houses. Then, see which of them display a For Sale sign. In Austin, Texas, I’d look for any brick home built by Abner Cook. Almost every public building he built – and several private homes – have ghost stories. However, they’re just his homes built with clay bricks from nearby Shoal Creek. His all-wooden structures don’t have the same reliable ghosts. My ley lines maps that (literally) connect the dots between haunted houses. If a house is on one of those lines, it may be haunted. Start with a good ley lines map. Then drive around, looking for realtors’ signs and abandoned houses. Warning: Some haunted houses are impossible to live in comfortably. They’re rare, and should be avoided. Local ghost hunting teams might be another resource in your search. Often, they’ve been called in to investigate a house that the owners don’t want to sell, but the site has activity they can’t live with. If the team couldn’t resolve the ghostly problems, you may be in luck. Even if the house hasn’t been listed yet, you might be the answer the homeowners need. Generally, they don’t want to deal with the challenges of trying to sell a haunted house. At the other end of the spectrum, a homeowner might try to use the house’s ghostly history as a selling point. When that happens, the sellers ask an unusually high price. That tactic usually backfires. They won’t sell the house, but they’ll have plenty of visitors. For them, it’s a free ghost tour. After a while, the homeowner usually reduces the price just to get rid of the house. That’s the time to place a realistic bid you’re comfortable with. 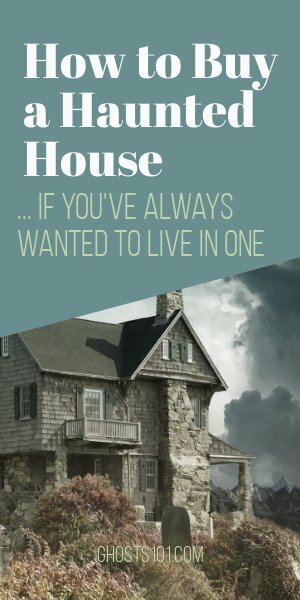 Author Fiona BroomePosted on 10 December 16 8 December 18 Categories Haunted PlacesLeave a comment on How can I buy a haunted house? Yes, they do film ghost stories at genuinely haunted (and scary) places. It’s happened many times. It was filmed at Ettington Park Hotel, near Stratford-upon-Avon (England). It’s supposed to be delightfully haunted. The hotel is elegant and reminiscent of the famous movie. And, according to some, it’s home to at least one ghost. Here’s a 7-minute video about Ettington Park’s ghosts. Trivia: That movie’s original – and perhaps haunted – spiral staircase reappeared in the 1999 remake of The Haunting, and the Netflix series, as well. Not far away, several movies were set in St. Louis Cemetery No. 1, at the edge of New Orleans’ French Quarter. They include Easy Rider and Cincinnati Kid. Producers filmed Interview with the Vampire at other haunted New Orleans locations. The Hollywood movie set for the original movie, Psycho, was supposed to be haunted. I’m not sure if paranormal encounters happened before, during, or after the initial filming. At night, people were visible near upstairs windows… when there was no floor to walk on, and no possibility of a light near the window, either. Those may be urban legends, but I heard enough first-person stories to think they might be true. Session 9 was filmed at Danvers State Hospital, Danvers, MA (USA). The former hospital and the town of Danvers have many ghost stories, often overshadowed by nearby Salem. 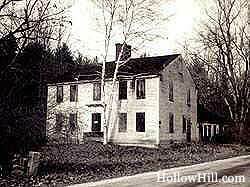 The haunted Yankee Pedlar Inn in Torrington, CT (USA) inspired – and later became a set for – The Innkeepers. Author Fiona BroomePosted on 9 December 16 8 December 18 Categories Haunted PlacesLeave a comment on Do they film ghost stories in really haunted places? For years, Disney’s Haunted Mansion attractions have been connected with ghost stories. Among all of the Haunted Mansion attractions, the one at Walt Disney World has the most haunted reputation. I’ve heard compelling first-person stories from cast members who worked there. But, in recent years, some cast members have wondered if the ghost at the front hall was actually connected to a former cast member, not the house. Since he stopped working there, the “ghostly” activity has stopped. Also, in at least 100 visits at both Disneyland (CA) and Disney World (FL), I’ve never encountered anything genuinely ghostly. For a better answer to your question, ask former Haunted Mansion cast members. Some have websites. Also see stories at TheShadowlands.net and Doombuggies.com. For the latest ghost stories, ask cast members dressed as Haunted Mansion staff. Most probably don’t know (or won’t admit to) any real ghost stories at the attraction. You’ll have the best luck immediately outside the Haunted Mansion’s exit. There, some cast members are more chatty. Remember, Disney’s Haunted Mansion attractions’ ghosts are “all in good fun.” That attraction is designed to entertain the entire family. For lurid ghost stories (real or imagined), you’ll have more success outside Disney theme parks. One more tip: Ask about ghosts at the Pirates of the Caribbean attraction. Some first-person stories from former cast members seem credible and fascinating. If the stories are true, Pirates is far more haunted than the Haunted Mansion. Don’t overlook Universal Studios’ theme parks in Florida. Search online (look for “USF ghosts”). Look for ghost stories about the Back to the Future attraction, later redesigned as The Simpsons. Some say it’s one of the most interesting haunts in Orlando. Author Fiona BroomePosted on 8 December 16 22 September 17 Categories Haunted PlacesLeave a comment on Is Disney’s Haunted Mansion really haunted?